The Clemson Tigers are being immortalized for winning another national championship. CLEMSON, S.C. — The 2018 Clemson Tigers got a little football immortality after winning the national championship. Now their being immortalized as a bobblehead. The National Bobblehead Hall of Fame and Museum has released pictures of their three new bobbleheads commemorating the team's title. The bobbleheads feature the team's Mascot, the Tiger, as well as Head Coach Dabo Swinney. 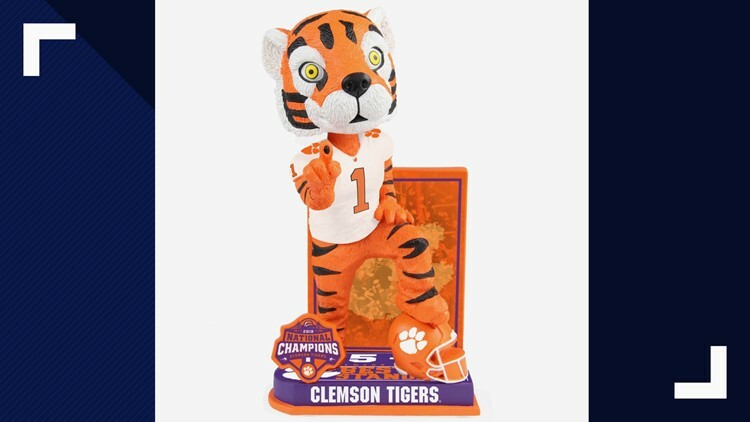 The first bobblehead features The Tiger with his leg on top of a miniature Clemson football helmet while holding up the #1 sign and commemorates the team’s undefeated season. Included behind the mascot is a team logo backdrop with the schedule and scores from Clemson’s undefeated season on the reverse side. The base is adorned with a 3D championship logo and “15-0 CLEMSON FOOTBALL - BEST IS THE STANDARD” logo on the top of the base. 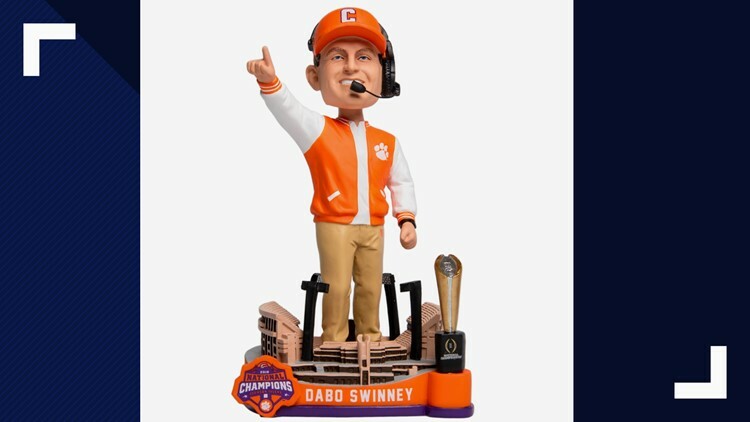 The next two bobbleheads feature Clemson football coach, Dabo Swinney. The first features Swinney posing on a replica stadium base next to a replica national championship trophy, celebrating the team’s two National Championships under Swinney’s leadership. The second is a dual bobblehead featuring Dabo high fiving Clemson’s mascot, The Tiger, after the team’s third National championship. 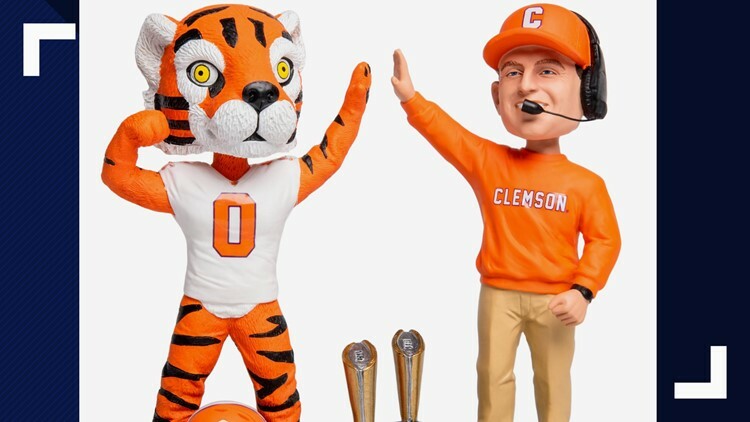 The bobblehead features Swinney and The Tiger sharing a victorious high five while standing atop a hand painted, grass textured base that sports two replica national championship trophies. The limited edition bobbleheads will be shipped in August. The mascot bobblehead is $45, the Dabo bobblehead is $55 and the dual bobblehead is $70, and shipping is a flat rate of $8 per order. In addition to being available on the Hall of Fame and Museum’s website, fans can also find them at FOCO.com.